A little holiday Moombahton gift for everyone! 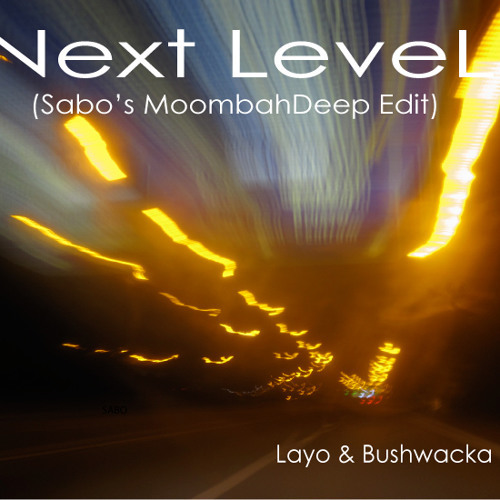 I took my favorite Layo &amp; Bushwacka tune called "The Next Level" and made an extended Moombahton edit. I added lots of percussion, a few African vocal snippets here and there, a little Native American flute, removed the only "progressive" sounding part, and extended the track by layering the synth. Its a long, deep, and hypnotic journey. Much respect to the original version and its producers, I hope I was able to maintain the originally intended spiritual feeling. Feliz Navidad and Happy 2011 mi gente!!!!! this is a really good one sabbo ! this is an awesome edit! Cheers!! Deep indeed! Thanks- will jam this, nyc in effect!!! nice deepness in the tropicals! Feelin' the vibes Sabo!! Love DEEPNESS! Much love from SF! very nice! thanks for sharing and happy holidays!